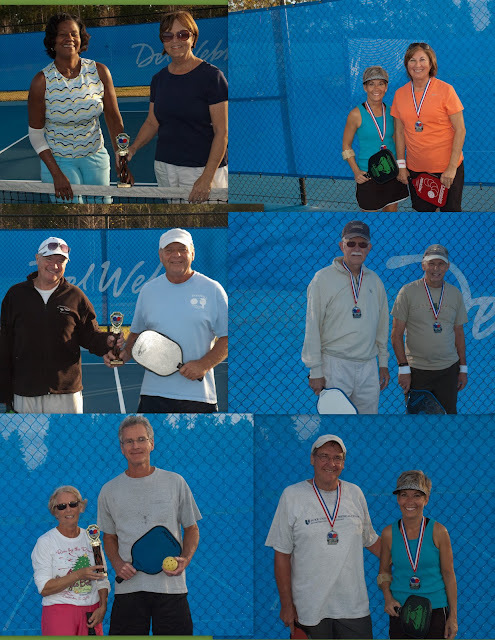 The pictures below of the Riverwood Pickleball Club were taken at their very first in house pickleball tournament at the Del Webb Community in Ponte Vedra, Florida. The pickleball courts were just opened at this community back in July of 2011, but on December 4th - pickleball was in full force, with a blind draw, double elimination tournament. "Everyone had a great time and displayed excellent sportsmanship. I am very pleased with the way everyone has progressed here after only 6 months." This Del Webb communtiy is still growing, and there are only about 260 homes so far in the entire community. 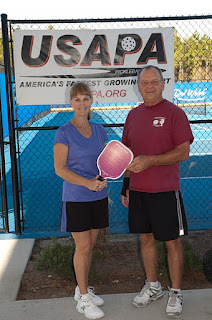 So to reach 50 pickleball members in their club in such a short time is fantastic. 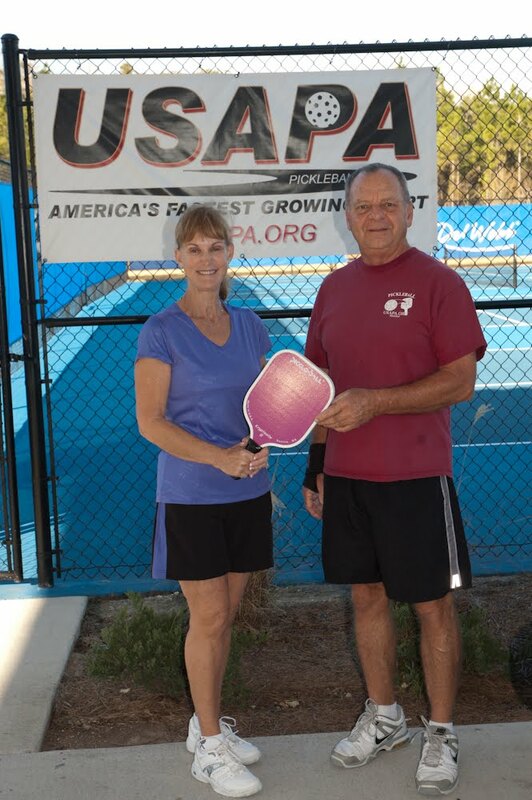 Congratulations to Bob and the entire Pickleball Club.